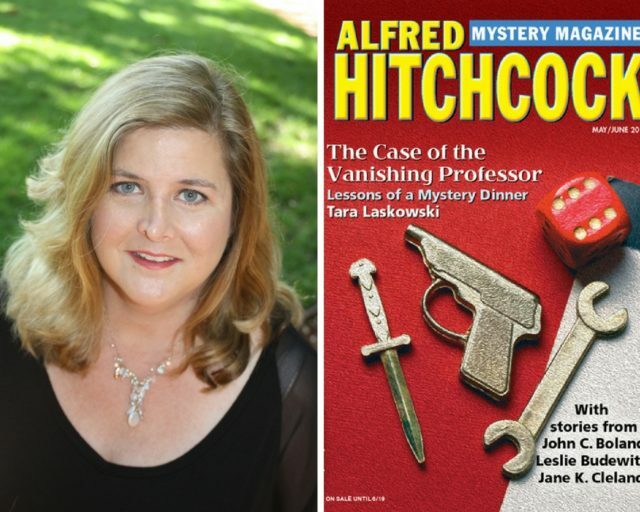 The May/June issue of Alfred Hitchcock’s Mystery Magazine was distributed to all the attendees at this past weekend’s Malice Domestic conference—with several contributors to the issue in attendance, including Leslie Budewitz, Shelly Dickson Carr, Deborah Lacy, Tara Laskowski, and Marianne Wilski Strong, and one contributor sadly not in attendance: Bonnie Stevens herself, whose story “One-Day Pass” appears posthumously here. A couple of these writers will be offering First Two Pages essays on their stories, beginning with Deb Lacy, whose story “Taking Care” marks her AHMM debut—hopefully with many more stories in future issues ahead! Deborah has written stories for other magazines and anthologies, including Mystery Weekly, the Anthony-award winning Bouchercon anthology Blood on the Bayou, Dark Corners, and Shh…Murder, the latter co-written with Pat Hernas. Deb also runs one of the best blogs in the business— Mystery Playground—and she contributes as well to Macmillan publishing’s Criminal Element blog.